Organifi Complete Protein shakes boast about the amazing health benefits combined with weight loss. Can you really loose weight healthily by replacing your breakfast with Organifi Protein and Multivitamin shake? 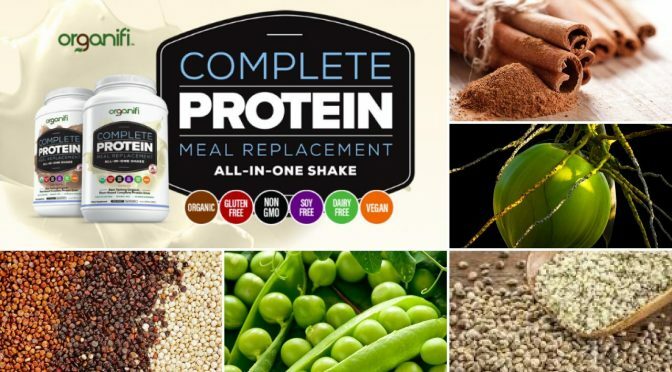 Organifi Complete Protein and Multivitamin Shake contains 4 superfoods, 3 different vegan protein sources, vitamins from real whole foods and Medium-Chain Triglycerides fats. Like all Organifi products, these shake are USDA Certified Organic, vegan and GMO, gluten, dairy and soy free, together with some digestion-soothing enzymes, making them a complete a perfect meal for any health conscious person. So does it live up to the expectations? The organic ingredients that make up this complete meal all have unique benefits, which together make this shake the most nutritious in the market. 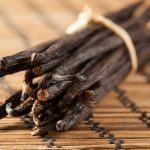 Vanilla beans are best known for their wonderful flavour in ice creams and bakeries, but they also offer a lot of health benefits. They contain natural antioxidants vanillic acid and vanillin, which also have anti-inflammatory abilities. helping to control blood pressure. The B vitamin complexes help the enzyme synthesis, nervous system functions and regulates body’s metabolism, aiding weight loss. One of natures own best sweeteners monk fruit contains compounds 300-400 times sweeter than cane sugar, without the calories. 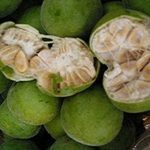 It also contain powerful cancer fighting antioxidants mogrosides, which body metabolizes differently from natural sugars, making it ideal for diabetics. 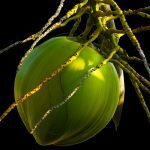 Coconut is one of most nutritious plants on our planet. The health benefits of both coconut water and coconut oil and well researched topics. Medium-Chain Triglycerides fats in coconuts help to reduce cravings and speed up metabolism. Most people also like coconuts sweet, gentle flavour. This wonderful spice is used in cooking all around the world. In the Western world it is known for its sweet aroma in bakery, in Asia its used to flavour curries and many other dishes. It also have many health benefits and I have been writing a lot about these benefits in my blog. It is one of the key ingredients in an ancient ayurvedic honey cinnamon remedy and also my favourite infused water recipe. Real Ceylon cinnamon can lower blood sugar levels and reduce heart disease risk factors. It is anti-inflammatory and loaded with anti-oxidants. 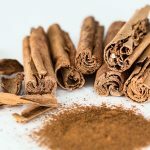 There is also a lot of ongoing research into cinnamon’s effects in prevention of cancer and Alzheimer. Due to its blood sugar stabilising effects, Ceylon cinnamon has the ability to reduce the feeling or hunger and help feel fuller longer. 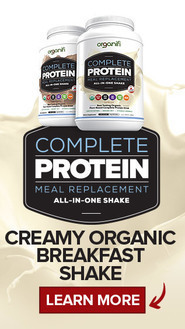 As a complete meal replacement, quality proteins are added into the shake. Hemp seeds are one of the rare plant sources available with complete protein chain! Its rich in fibre, which helps with digestion and they are also rich in essential fatty acids. Additionally they contain large amounts of vitamin E, phosphorus, sodium, magnesium, sulphur, calcium, zinc and iron. It also has a very pleasant flavour, reminding closely that of almond butter. 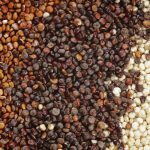 Quinoa is a plant, rich in protein and fibre, cultivated for thousands of years in South America, for its nutritional value. Quinoa is also high in vitamin B2, lysine, magnesium, iron and manganese. It tastes a lot like oats, so most people find its flavour pleasant. Quinoa is contains the plant compounds quercetin and kaempferol and is gluten free, making it very important in the today’s word full of gluten intolerance. It also contains flavanoids, important anti-inflammatory compounds. 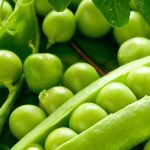 Because of large amount of amino acids and lysine present in them, peas are beneficial for sports people and body builders. Amino acids and lysine are essential for repairing cells and hence decreasing muscle breakdown after workouts. Peas are also good for regulating blood sugar levels, hence aiding weight loss. They are also known for their wonderful effects on softening and smoothing the skin. For a complete meal you also need plenty of vitamins. These are made from organic, natural sources from real superfoods and vegetables sources. Medium-Chain Triglycerides fats (MTCs) are found in tropical foods, such as coconut oil. They are easily accessible energy source for the body, instantly usable by your muscles an brain. They also have the amazing ability to make you feel fuller longer. MCTS, proteins and vitamins need to be properly digested and absorbed for the full benefits. Plant based digestive enzymes help you to break down and absorb these nutrients, at the same time preventing indigestion and bloating. For plant based diets, more enzymes are needed for digestion. They help you to break down proteins, fats and the carbs, increasing the absorption of nutrients to the body. Don’t take my word for it! TRY Organifi Complete Protein for 30 days with full money back guarantee, even if you just don’t like the taste! Find out more about the best weight loss protein powder there is by watching the video here. I eat a plant based diet myself and found my muscle development to be hindered by the lack of proteins in my diet. I tried many protein shakes before this one, but could not find one that didn’t either make me sick or taste absolutely awful. I used to buy different protein products, use them for a while and then abandon them as I couldn’t face to even smell them anymore, not to even talk abut downing them. This protein shake changed it all. I don’t eat breakfast, because I practise intermittent dieting, but I love mixing a dose of the Orgnifi Complete Protein Shake with Organifi Green Juice for my on the go lunch on the days I am too busy to eat a healthy natural lunch. 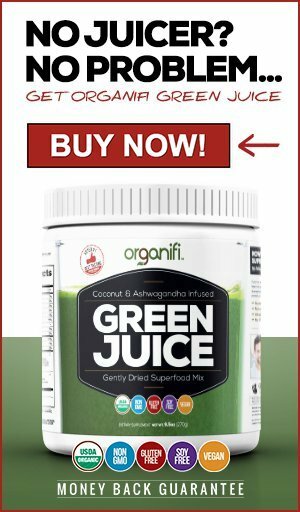 Also take a look at the Organifi Green Juice! I have written a review about its health benefits that I have personally experienced. I would love to hear from your experiences with this protein and multivitamin shake. It is one of the few vegan complete protein sources out there and certainly the one that tastes best, guaranteed.